Free Shipping + VAT And Duties Paid. Check out Tobi's Ring My Bell Sleeve Blouse Did you get the memo? The Ring My Bell Sleeve Mauve Multi Blouse has the coolest sleeves of any long sleeved top. 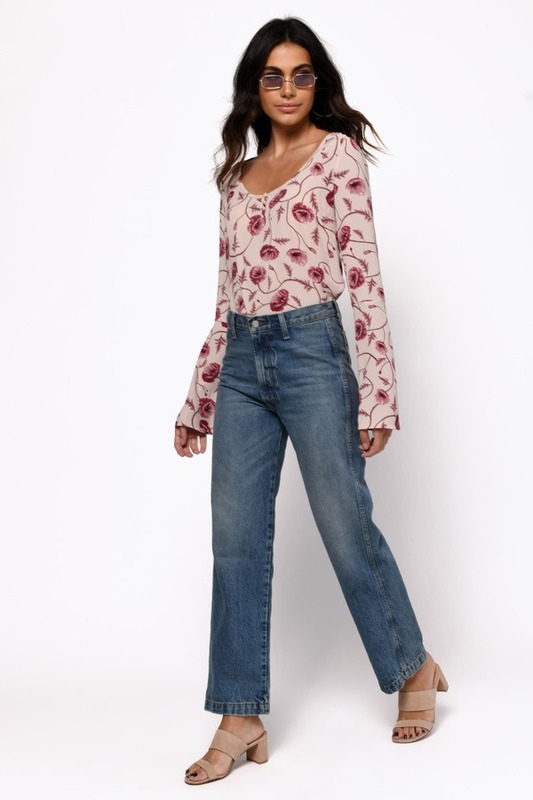 This bohemian inspired blouse features gorgeous floral print, a scoop neckline, and split bell sleeves that define this flowy long sleeve top. Tuck in with your favorite denim! On All Orders To The United Kingdom. Did you get the memo? The Ring My Bell Sleeve Mauve Multi Blouse has the coolest sleeves of any long sleeved top. 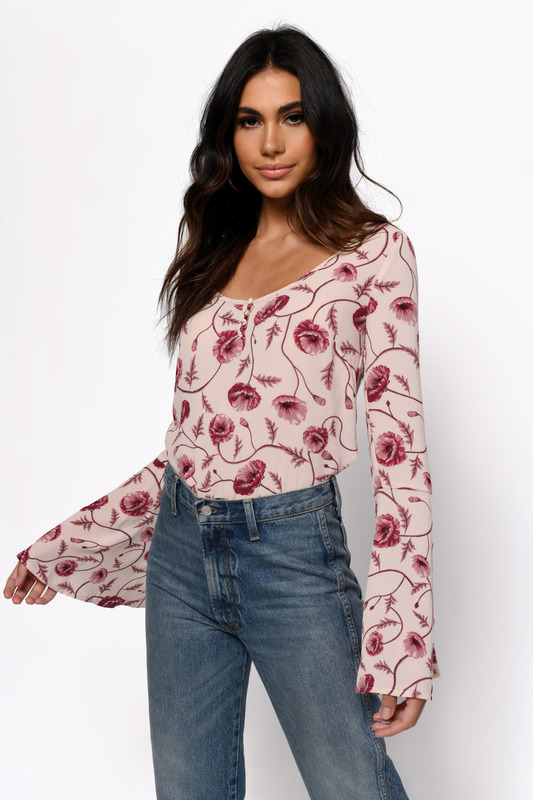 This bohemian inspired blouse features gorgeous floral print, a scoop neckline, and split bell sleeves that define this flowy long sleeve top. Tuck in with your favorite denim! Mauve Multi modeled on a size Small. We offer free standard shipping for all orders to the United Kingdom! No minimum required. Shipping fees are non-refundable. We currently do not offer express shipping to the United Kingdom.